NET SALES of Jameson whiskey rose 25 per cent worldwide in the six months to the end of December, the French spirits giant Pernod Richard said yesterday. 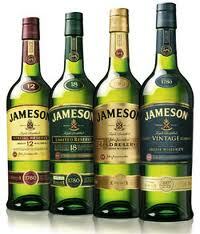 Announcing its results for the second half of 2011, Pernod Ricard, which owns the Jameson brand through its subsidiary Irish Distillers, said the Irish whiskey was the company’s fourth best performing drinks brand in the period. In volume terms, excluding price effects, sales of the drink rose 20 per cent. The company, which is the world’s second-biggest spirits group behind Diageo, raised its full-year profit target, citing strong Asian demand and a recovery in the US market.